What we’re reading: Who needs a script? We’re back and we’re reading – everything from “The Associated Press” to “Times.” We’re trying to help you keep up with the rapid pace of politics and everyday news. Today, we’ve got Trump’s off script speech, Venezuela’s visit to Ecuador, and an incident in New Orleans killing two. 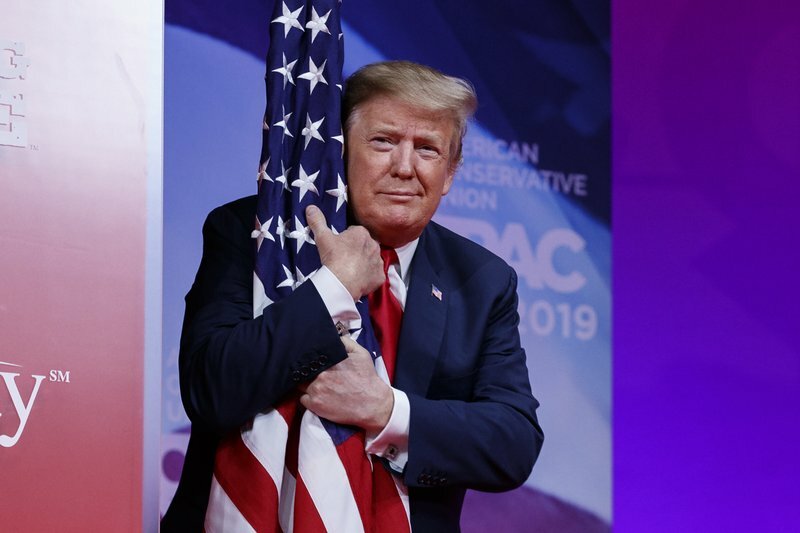 President Donald Trump spoke to the Conservative Political Action Conference for nearly two hours, denouncing the democrats as the as the party of “the socialist nightmare,” according to The Associated Press. He continued by mocking the left’s Green New Deal and said he wished he would have waited to bring up Elizabeth Warren’s claim to Native American heritage so he could have run against her. Trump stated that going off script is what won him the 2016 election and predicted a win in 2020. Juan Guaido, the Venezuelan opposition leader, visited Ecuador before returning home as apart of his continent-wide campaign to pressure President Nicolas Maduro to resign. Guaido visited Colombia, Brazil, Argentina, Paraguay and Ecuador to meet with their leaders to deepen relations as allies and to plan how to defeat a dictatorship, according to Times. Times reports that the United States, along with 50 other states, recognize Guaido as the rightful leader of Venezuela after the rigged election. Despite the recognition of his leadership, Guaido still faces the possibility of going to jail for breaking the current foreign-travel bans. A suspect, identified as Tashonty Toney, 32, was assumed to be intoxicated after his car allegedly spun out of control and hit a crowd of people, killing two, according to The Associated Press. Toney, the son of a police officer, is being charged with two counts of vehicular homicide and seven counts of vehicular negligent injury, hit and run and reckless operation. Eye witness, Frank Rourke told officials he saw the suspect hit another vehicle before spinning out to the median, hitting the crowd of people. Toney walked out of his vehicle and lost consciousness, according to Rourke, but that he was able to help wake up Toney. The incident happened near one of the city’s biggest Mardi Gras parades, the Endymion parade. Social media’s anti-vaccination campaigns have been blamed for the measles outbreaks, according to head of England’s National Health Service, (NHS). Simon Stevens, head of England’s NHS, said measles cases have tripled since last year despite that the vaccination works. Although nine in ten parents support vaccinations, Stevens said that parents are seeing fake messages about vaccines on social media. Youtube removed ads that promote anti-vaccine ideas, according to CNN. Jerry Nadler, house judiciary committee chairman, announced this morning that he will request approximately 60 documents “to present the case to the American people about obstruction of justice, corruption and abuse of power,” according to Fox News. Nadler would oversee any impeachment proceedings, if it comes to that, and said that he believes the president has obstructed justice. That is all we have for today. Check back later for more.